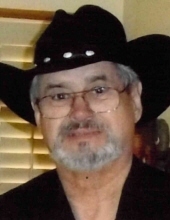 Manuel Montes Ayala was born May 24, 1945 and passed away on April 9, 2019 at the age of 73. Manuel was a devoted son, husband, father, grandfather, great-grandfather,and friend. Descendent of the Canary Islands, a proud graduate of Fox Tech High School, and a retired postal service employee for 35 years. He enjoyed fishing, golfing, movies, traveling and gambling. Manuel is preceded in death by his parents, Manuel andJuanita Ayala; brother Teodoro Ayala; and daughter, Jessica Ann Stout. He leaves behind his loving wife, Laura Ayala; daughter, Erica (Chris) Hall; brother, Robert (Carmen) Ayala; sister, Olga (Sam) Navarro; 4 grandchildren; 8 great-grandchildren; numerousnieces and nephews. His family will grieve in private. To send flowers or a remembrance gift to the family of Manuel Ayala, please visit our Tribute Store. "Email Address" would like to share the life celebration of Manuel Ayala. Click on the "link" to go to share a favorite memory or leave a condolence message for the family.